The player versus player battles at the Archipelago is the one the many components of the game Environment in the Evolution: Battle for Utopia. The Archipelago is an a group of islands roughly to the west of the main continent on the map. You can use this area to attack other players and earn PvP ranking points and Resources (including Gems). Reaching the Archipelago requires the use of a Helicopter from the Heliport and an Internet connection. 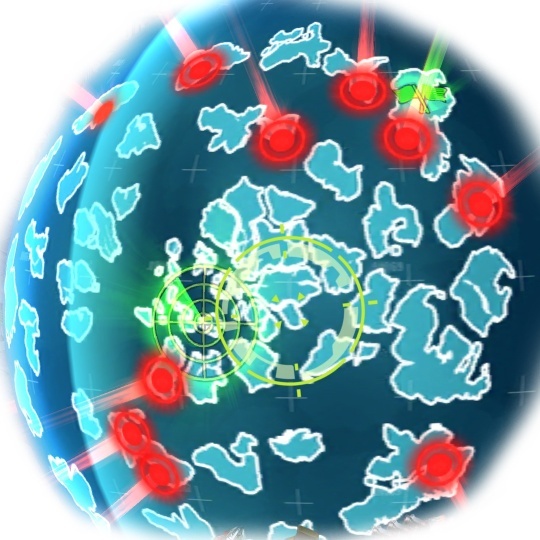 Advanced helicopters allow you to access larger areas within the archipelago, with more attack targets (players bases). Enemy Leader (one base among 10 marked with crossed green flags). New targets appear every 3 hours, but you can reduce this time for Time Boosters or Gems . It’s unfair I’m level 26 with 1400 pvp points so I always have to attack players with 10 levels higher than me. And it’s hard to find lvl 35-40 with the hephaestos turret or weaker, if I don’t find any I can’t do PvP. Yep, looks like so. But it’s the same for everyone. I’ve come into a stall at PvP since I can’t find enemies with weapons weaker than Moloch. And with Moloch, even when I’m crouching, my health drains out in a blink of an eye after one attack! I had to attack players at 14 levels above mine. Most of the time I loose. Then I was just attacking players at the same level as me or at 4/58 levels above mine but they were rare to show up on the map! I have 4374 points and I’m stalled! ATTACK, you only find enemies that are 10+ levels above yourself, have better equipment, have a stronger base…. DEFENSE, yuo get bashed by someone that is 10+ levels above yourself, has better equipment and stronger companion. In other words: why I can NEVER find some one to attack that is several levels below my level, with inferior equipment and inferior companions like the other players are apparently doing to me? This type of game requires a plan of action. Like… life.with no aim or goal all players will be bounced around. Lvl 48 im just starting pvp but thats starting with all maximus turrets and top gear for my lvl. It wasnt easy and it took eons but time… time is the name of the game. I want higher lvl pvp players to please attack so i can stay on top of my game, and their list. I won’t get any leader for gems. Anyone has the same problem?